Congratulations on your ticket purchase! Tell your friends and we'll see you soon! 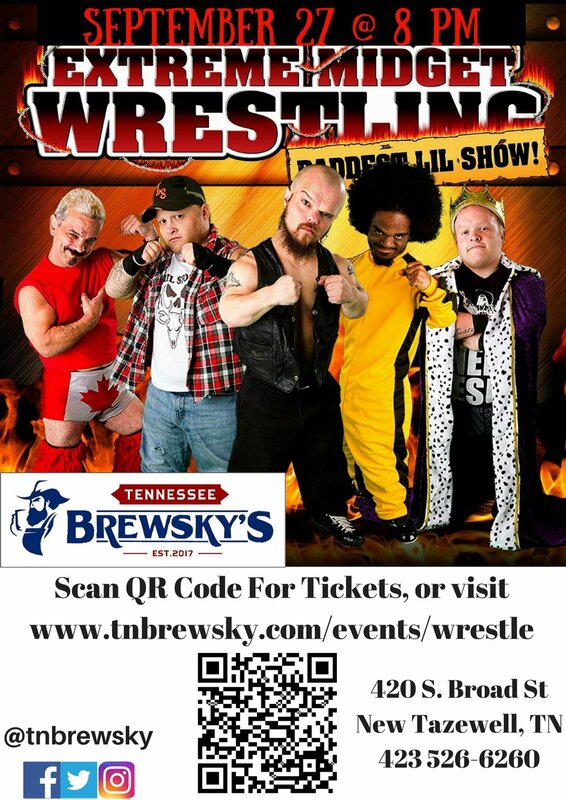 Join us for 'the baddest lil show' in the country as Tennessee Brewsky's hosts EXTREME MIDGET WRESTLING!